As he gears up for the release of his EP ‘Four Miles Further’ this Summer, Nick Brewer continues to fly the UK flag for the rap scene with his new track ‘The Drop’. Nick features female rapper of the moment Little Simz on the incredible track, the game-changer stays delivering back to back on whatever track she features on and does the same on ‘The Drop’. 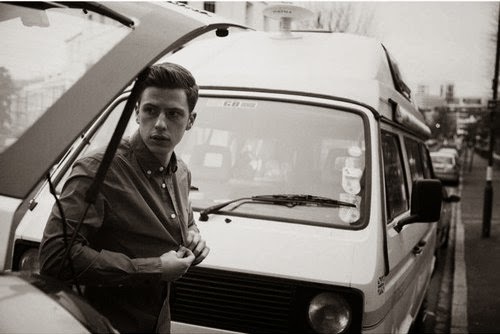 ‘The Drop’ is the second release since Nick Brewer's signing to Island Records, and is set to make his mark on the music scene this Summer, with the release of his EP ‘Four Miles Further’. The full-length project will see features from the likes of JP Cooper, George The Poet, Max Marshall, Naomi Scott and of course Little Simz. ‘The Drop’ speaks volumes on Nick's opinions on growing up in today's society. Nick raps about his memories of growing up, cementing himself as more than your stereotypical male rapper; a wordsmith with something very poignant to say. With hypnotic production, and an expert verse from Little Simz, this track is sure to be on your mind long after listening. With his forthcoming ‘Four Miles Further’ EP and a headline show at The Old Queen's Head in Islington on the 26th of June, Nick is about to really set to enter your conscience.